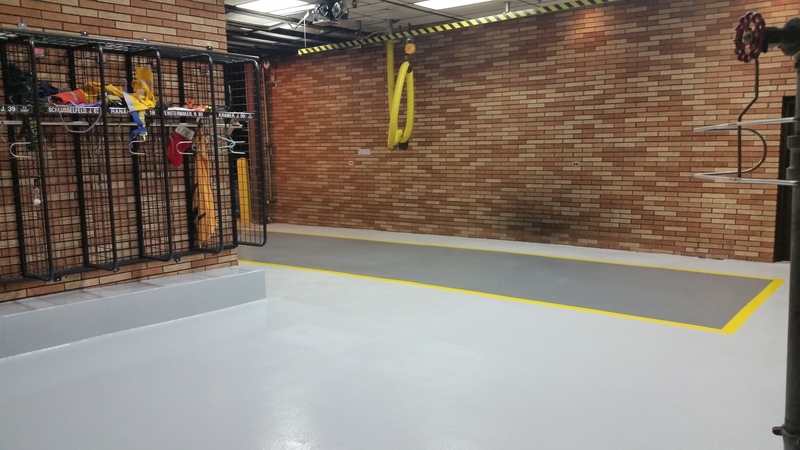 With ultramodern processes and research, the industries leading manufacturers are driving innovation and advanced tech with new resinous flooring products and installation methods. State of the art additives to the resins can modify cure times, antimicrobial protection, superior adhesion, static dissipative, chemical resistance, and an array of other superior properties can be achieved. In addition, altering the amounts of aggregate combined to the resins, a varying thickness can be achieved to meet any specifications. 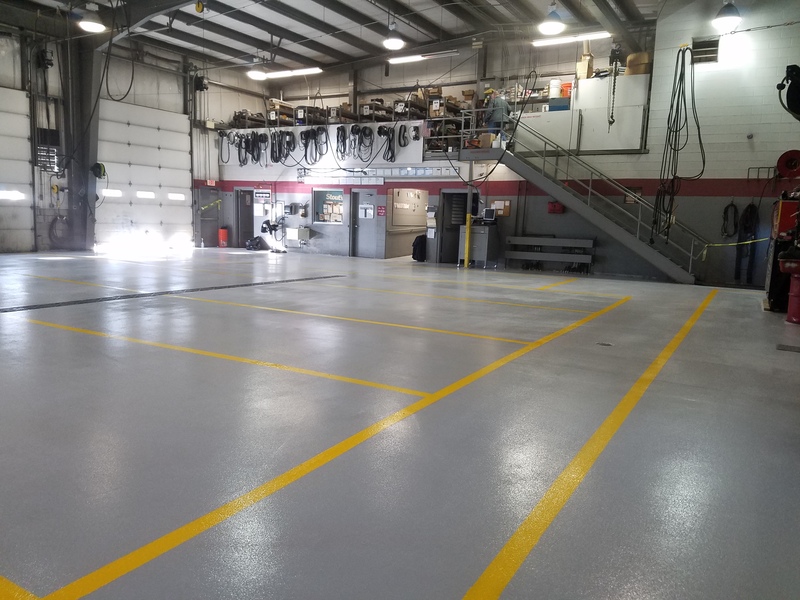 Resinous flooring plays a key role in facility safety. 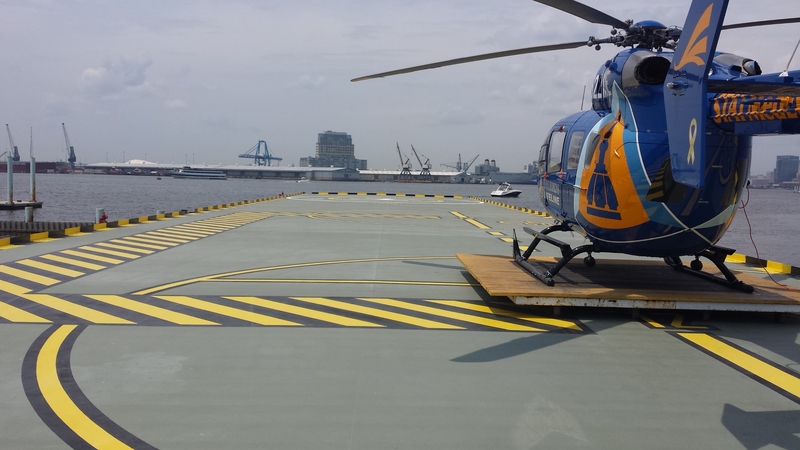 Maintaining a safe walking surface protects the employees as much as it does the employer. By reducing employee and visitor exposure to hazards, fewer preventable injuries can occur. Workplace safety bolsters a facility's up time and maximizes productivity while reducing injury claims. Distinct pedestrian walk ways provide a clear path to follow. Known hazards can be marked out or labeled with safety colors to increase visibility. The facility manager can choose the level of texture added to the floor. 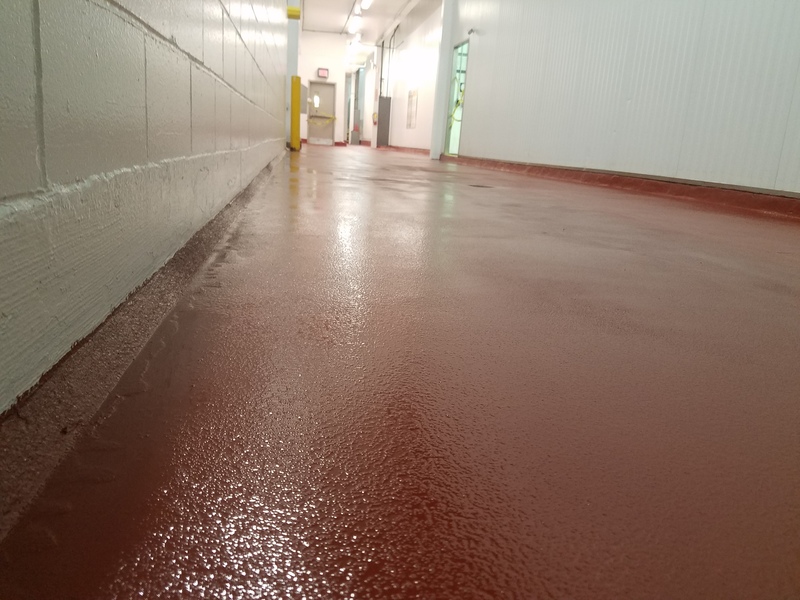 Offering a varying degree of texture allows a workplace to balance between smooth flooring for ultra cleanability or more aggressive to limit slip and fall incidents and keep workplaces safer.